Hey folks, mega-quick post today with a few shots of my Mexican Bandito Posse, dubbed the Tequila Allstars. 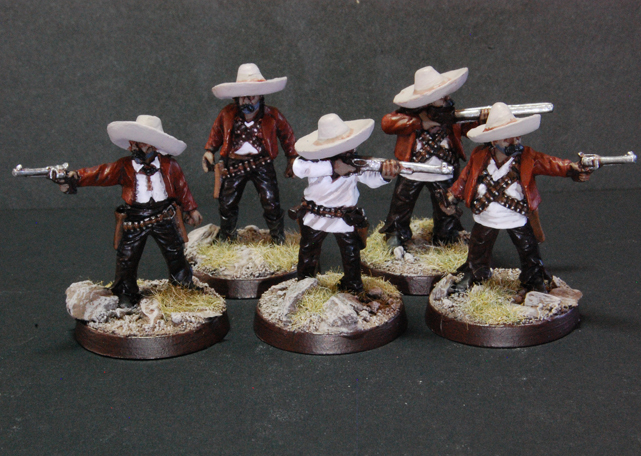 These guys are from the Tombstone range by Black Scorpion Miniatures (see more from these guys in last Friday's post). These are one-piece figures and are a really good price for five models. 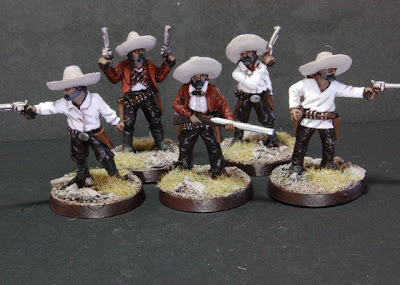 The Mexican's really stood out with the whole sombrero thing going on, which really pulls the whole posse together. 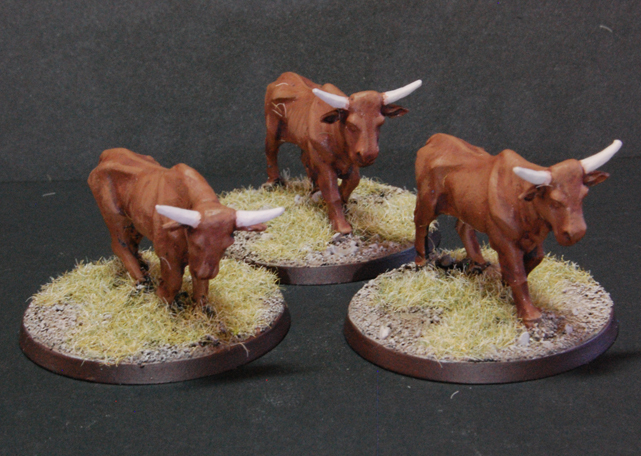 The cows for the cow rustling scenario came from The Foundry. They're nice models, two pieces each and aren't badly priced for what they are.... the killer here though was the postage, which nearly doubled the order total. To be fair, they were delivered within 24hrs, but really wouldn't have minded waiting a little longer!